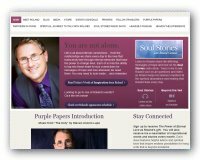 Here you will discover my personal recommendations for support of all things spiritual and more. When you contact these people, tell them: "Kate sent you!" How awesome would it be if money were your best friend? Contact Patti to learn how simple it is to become an Awesome Wealthy Woman! 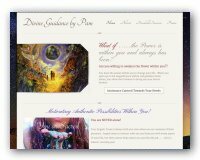 Pam works with the angels to bring Divine Guidance and wisdom to you through angel readings and private one-on-one Divine coaching services. Trudy and her sister Barbara paved the way for thousands of people all over the world to learn how to talk with their angels. Trudy offers private angel readings and coaching services. You'll want to get all of the Angelspeake books! Lynette works with the angels to bring positivity and light to your world through angel readings, dream interpretation and private coaching. Lynette's book: The 10 Be's of Positivity are a must for your spiritual library. 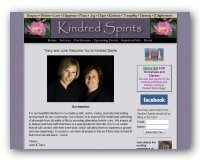 Kindred Spirits Center holds in person classes and events in Redding Connecticut. Plus June and Tracy offer long distance energy healing sessions and intuitive guidance sessions. 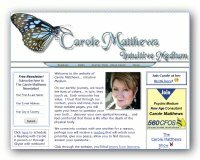 Carole Matthews is a well known radio host and intuitive medium who offers readings in person, via skype and phone. 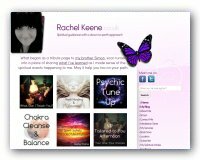 Rachel Keene offers a plethora of spiritual support through readings, energy healings, past life regression, life coaching, courses and workshops.